always left with more questions than answers. For Boltanski: “Good artists no longer have a life; their only life consists of telling that which to each one seems to be their own story”. His universe, or at least the universe he shows us through his production, is a sort of labyrinth, with mysterious surroundings, semi-darkness and candles, which we penetrate. And then it all becomes an enigma. I will try to go inside the enigma. A ghost story for grown ups. Naming, marking, remembering a name is something of great value. The more somebody’s presence is shown by their name, a heartbeat, an old photograph, worn clothes, the more one says about their absence. By showing the absence, I say: “This took place”. 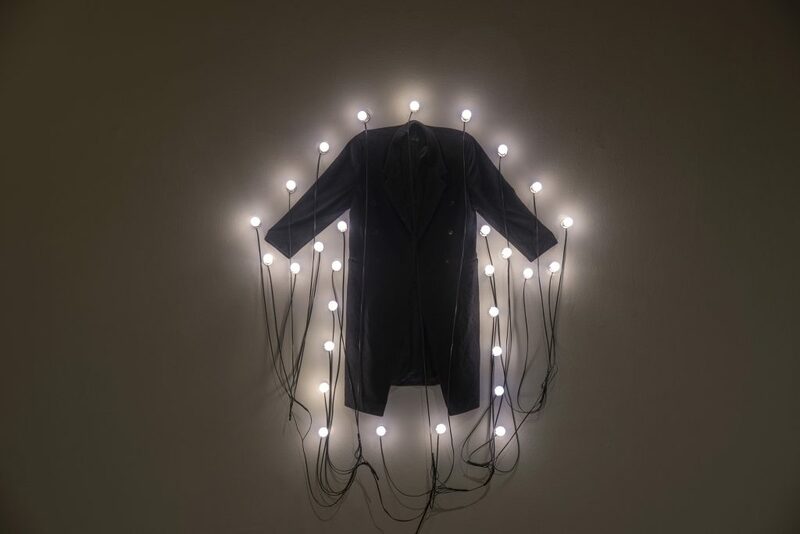 Christian Boltanski, Le Manteau (El abrigo), 2000. One of the first impressions that Boltanski’s work makes in me is that of a work inhabited by a multitude of ghosts, wandering through the spaces and watching us. I can imagine that at night, when the museum rooms where it is exhibited are supposed to be empty, uncanny things take place… Perhaps instead of ghosts one should speak of spectres. The word spectre comes from the Latin spectrum, from the verb specere or spicere, meaning “to see, to watch”. It was used as a synonym for the Greek word eidôlon, idol, which in Epicurean philosophy designated the simulacra, that is, the emanations of physical objects that gave rise to mental images or apparitions. Later, spectre meant illusion, the appearance of something not corresponding to reality, a false semblance; and afterwards it came to mean a pale and lanky person evoking a corpse or death, which is probably the most widely known sense of the word. I can find in Boltanski’s work these diverse meanings of the word spectre: apparitions, idols, simulacra, illusions, false semblances, the light and the dead (even other meanings I did not mention above, of a scientific nature: for instance, the light spectrum). Christian Boltanski works with images: photographic, poetical, symbolic. According to Georges Didi-Huberman: “The image —starting with those portraits of Florentine bankers which Warburg questioned with particular fervor— should be considered firstly as that which survives from a town of ghosts”. Boltanski plays with the image and with the ghosts; that is, with the spectral character of the image, particularly with that of photography. In his famous essay on photography, Roland Barthes argues that the photographic device has three basic moments: taking the photograph, suffering it, and looking at it. The Operator is the one that takes the photograph; that is, the photographer. The Spectator is the one who looks at it. Barthes adds: “And the person or the thing that is photographed, that is, the target, the referent, a kind of little simulacrum, eidôlon emmitted by the object, I would call the Spectrum of the photograph, since this word preserves through its root a relation to the ‘spectacle’, and adds something terrible which is present in all photography: the return of the dead”. It’s interesting to note that in French revenant means the one who returns, the ghost. In the same essay, Barthes says that when he is photographed, he doesn’t feel he is a subject or an object, but a spectre: “The photographer knows it and fears (even for commercial reasons) this death to which his gesture will embalm me”. We come back to the spectre. He notes further: “I read at the same time: this will be and this was; I watch in amazement the future perfect whose wager is death. By giving me the absolute past of the pose, the photograph tells me death in the future”. Whoever looks at a photograph sees in there the “presence of an absence”; something that has been there, but is no longer there. This would be the ambiguity of these images, a limbo between presence and absence, the illusion, the false semblance, the simulacrum. The enigma persists. Christian Boltanski questions and uses this double nature of the image. Regarding the possibility of fixing memory, the artist states: “Each one of us is very important because of our unicity, and highly vulnerable at the same time. After two generations, we are forgotten. Part of my activity consists of trying to preserve the life of each human being. Naturally, I know this is impossible. I voluntarily take on the notion of a work that cannot be successful and which is destined to fail rght from the start. An ephemeral work. It is for this reason that I work with very light materials, paper for instance. Otherwise, I would have made bronze statues”. Boltanski’s work aims at preserving memory, but at the same time the artist is skeptical of the value of photography as a document, as proof of truth, and even more as proof of permanence. By using certain fragile resources, such as the curtains that blur the details; out of focus images placed in semi-darkness; light effects; shadows (in such pieces as Reflection, Lights, Regards, and particularly in Shadows), the artist questions the photographic device and puts into play photography’s truth value as document, as proof or index. Thus he stresses photography’s inability to retain the past, and insists on the fragility of traces and the inexorable loss of the past. In this striving for/impossibility of retaining the past, one finds another one of the complex strategies employed by Christian Boltanski; I mean the use of archives. For a long time now, the artist has familiarized us with this archive effect with his enigmatic boxes, collections, inventories, photo albums, hallways lined with photographs or mysterious images. He compiles, accumulates, utilizes ready-made archives or creates them from newspsaper images or documents found in flea markets. Here I will make a brief digression about artistic context in relation to the archive paradigm. Throughout the 20th and the beginning of the 21st centuries, visual artists have made use of it in different contexts to produce works dealing with memory, questioning identity and history. As Carmen María Jaramillo puts it: “Archives have become one of the main sources of creation for some contemporary artists, who through their training or their access to the most varied collections, construct poetics and subvert established truths.”  Anna María Guasch states that works that have as a starting point the archive paradigm reveal certain features of it to generate new discoursive acts. the author detects two main forms of archive handling in contemporary artistic statements: “One that highlights the regulating principle of the nomos (or the law) and the topographic order, and one that stresses those processes derived from the contradictory actions of storing and keeping and at the same time forgetting and destroying traces of the past; a discontinous and occasionally urge-driven manner which acts according to an anomic principle (without law)”. The author points out that some of the artists that started working with archives during the second half of the 20th century are German or French, such as Bernd & Hilla Becher, Gerhard Richter, Annette Messager and Christian Boltanski, and in one way or another their works refer to the Second World War. “Hardly classifiable, these artists’ works feature different ways of understanding the principles of order, record and accumulation, from seriality and the provenance archive (the Bechers), to anomie in Boltanski’s case”. Christian Boltanski, Autel Lycée Chases, 1988. Ambiguity and contradiction show up once more: archives are instituent and conservative, revolutionary and traditional, all at the same time. 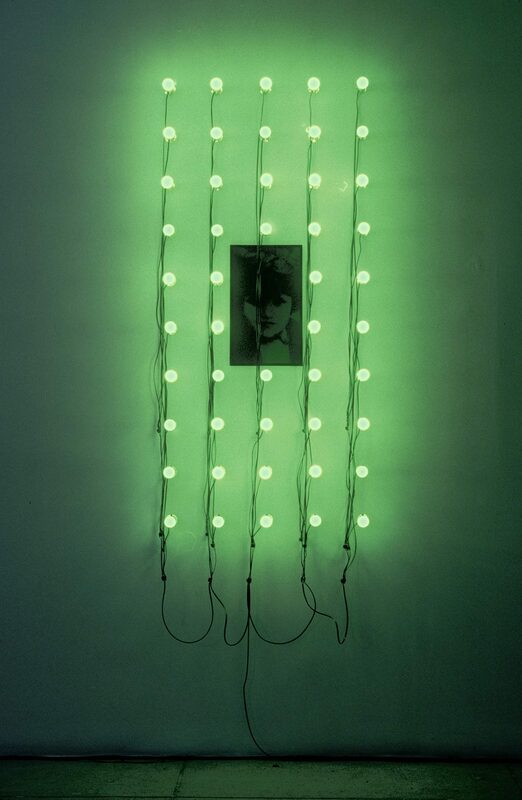 Christian Boltanski, Être à nouveau, 2001. In this way the artist subverts the archive device by preserving documents that cannot be consulted and thus become useless. In Coeur (Heart), a piece he began in 2005, we can listen to the artist’’s heartbeat, synchronized with a lightbulb that goes on and off; a kind of heartbeat album or archive. This archive might express a way of immortalizing life. This piece has its sequel in The archives of the heart, which he began in 2008; it gathers thousands of heartbeats, to be preserved in a Japanese island as traces of life from several people who, while not actually transcending death, at least will attempt to transcend oblivion. 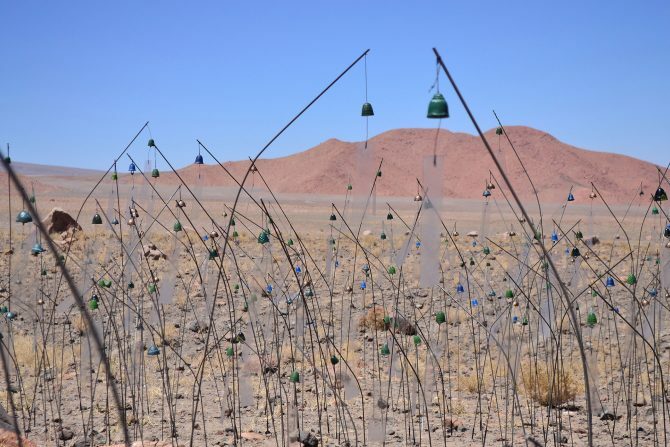 Undoubtedly, transcending oblivion is one of the main axis in the work of Christian Boltanski, who grew up in the postwar period, surrounded by Holocaust survivors who told stories of the war and of Deportation. “The only thing I believe there is at the beginning of any artist’s life is a sort of trauma. And my trauma was that when I was very, very young —I was 2 or 3 years old— I heard many stories about the Holocaust, the Shoah, because most of my parents’ friends were survivors. I’m sure that listening to that when you’re very, very young —hearing about all those crimes, hearing that everything is dangerous, that you’re a survivor, that you’re alone— has to change your life.” And he adds: “However, it wasn’t the fact of being Jewish; it was the fact of knowing this story of the war”. Boltanski was born in 1944. He belongs to a generation that did not live through the war, and hence has no memory of it. However, like many in his generation, he remembers through the memories of others. It was largely through stories told by his parents’ friends that he was able to imagine what hasppened during the war, and to turn those recollections into a memory of his own. 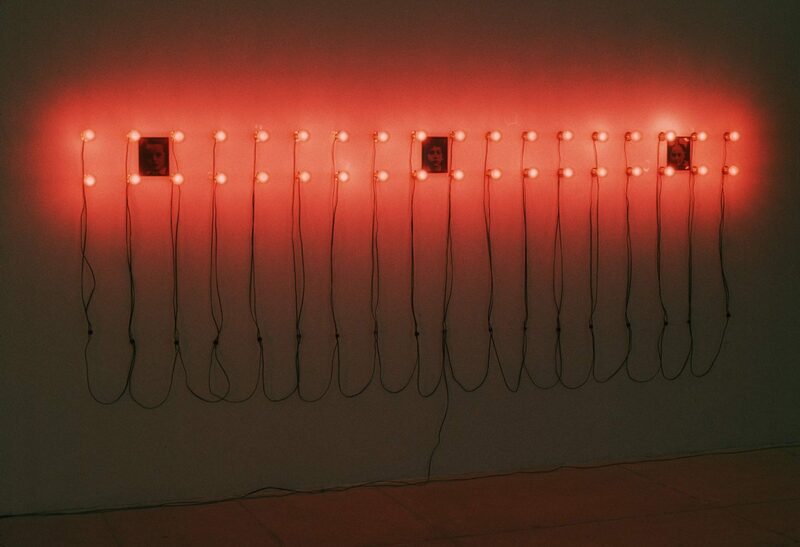 Christian Boltanski, Coeur (Heartbeats), 2005. Through her research, Hirsch argues that “postmemory” work attempts to “reactivate and reinstate the most distant structures of memory, social/national or cultural/archival, reinvesting them with individual and familiar forms of mediation and artistic expression” . Christian Boltanski, Monument 19, 1986. 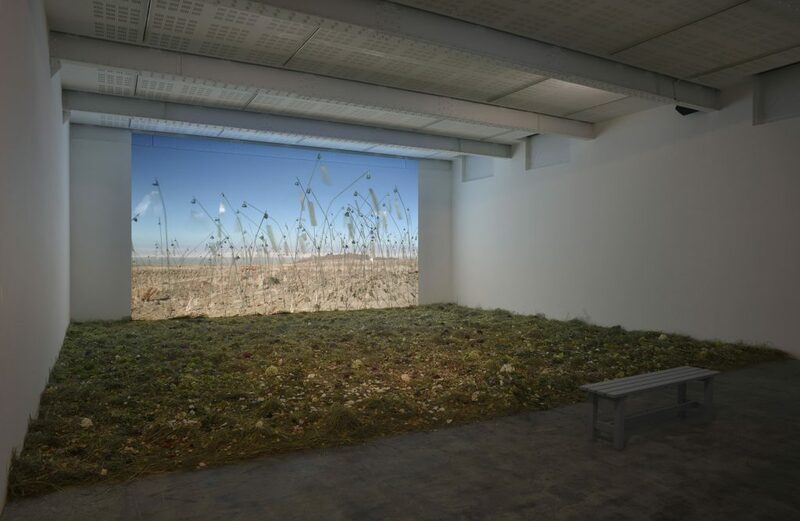 In Boltanski’s work, even when the piece is not directly related to the Holocaust, it would seem there is a hidden script linking his whole production to this traumatic period in history: the stagings, the textures, the surroundings, the archives, the handling of the image, everything seems to be stamped by an aesthetics and a poetics that go back to the Shoah. What affects me more in the work of Christian Boltanski are those regards that pierce through time and space to meet us here and now. Anonymous photographs, neutral stories of people regarding us. Regards would be an example of this: the piece forces the spectator, wherever he or she may be, to face the insisting regard of people who were probably sent to the extermination camps. Christian Boltanski, Monument 23, 1986. Centre National del Ressources Textuels et Lexicales. http://www.cnrtl.fr/etymologie/spectre Consulted: May 15, 2016. Philippe Dubois, El acto fotográfico. 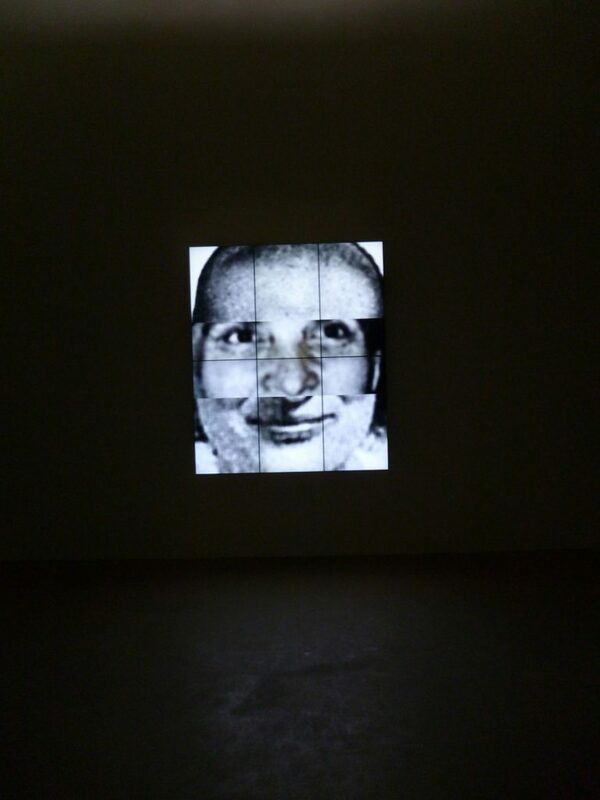 De la representación a la recepción, Barcelona, Paidós, 1994, p. 111.
http://www.culture.fr/Actualites/Portrait-Dossier/Christian-Boltanski-La-personne-qui-vit-l-aeuvre-fait-l-aeuvre/(theme)/1 Consulta: 20 de mayo, 2016. Carmen María Jaramillo, “Archivos y política / Políticas de archivo”, Errata #1. Revista de Artes Visuales, http://revistaerrata.com/ediciones/errata-1-arte-y-archivos/archivos-y-politica-politicas-de-archivo/. Consulta: 10 de febrero, 2013. Anna María Guash, Arte y Archivo 1920-2010. Genealogía, tipologías, discontinuidades, Madrid, Akal, 2011, p. 10. For instance, historical French archives relating to the Collaboration period were denied to the public during almost six decades. Jacques Derrida. Trace et archive, image et art, París, Éditions INA, 2014, p. 60. Ibid ., pp. 60 y 61. Véase la obra de On Kawara. Anna María Guasch, op. cit., p. 58. Lynn Gumpert, Christian Boltanski, París, Flammarion. 1992, p 143. Quoted by Régine Robin, La memoria saturada, Buenos Aires, Waldhuter Editorales, 2012. Ibid , p. 114. “Family life, even in its most intimate moments, is entrenched in a collective imaginary shaped by public, generational structures of fantasy and projection and by a shared archive of stories and images that inflect the transmission of individual and familial remembrance”. p 111. “I want to suggest—and this is the central point of my argument in this essay—strives to reactivate and reembody more distant social/national and archival/cultural memorial structures by reinvesting them with resonant individual and familial forms of mediation and aesthetic expression”. 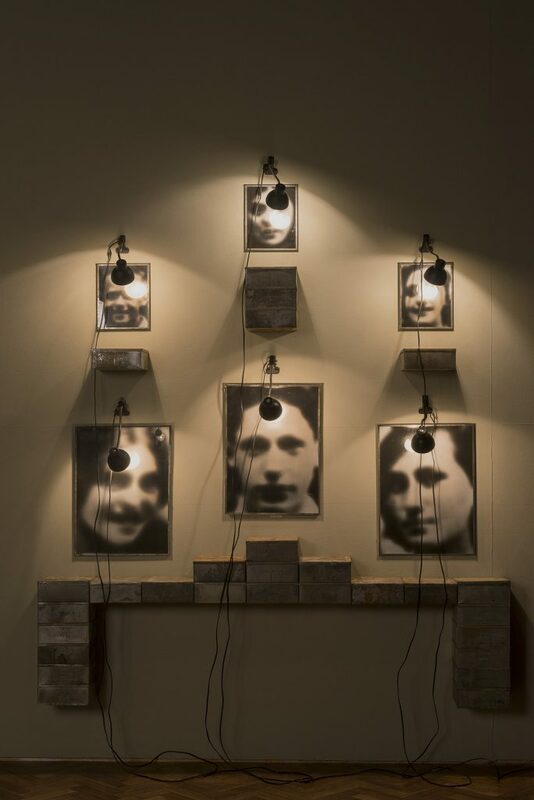 Christian Boltanski, Entre temps (Between times), 2003.